If you love beer and bar games, you’ll feel right at home at Brickyard Pub. 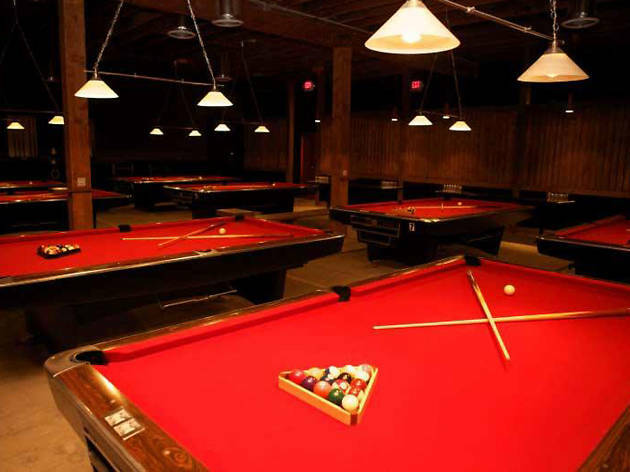 Not only does the selection of suds (more than 100) leave you spoiled for choice, but with ample pool tables, darts, shuffleboard and even beer pong, you’ll be set with activities for the night. Plus, who can resist a bar with a photo booth? Brickyard has a huge beer selection and happy hour runs till 9p with "buy 2 drinks, get one free" - the beer prices start at $4 and go up from there. There are several good choices in the $4-5 range. They have games and plenty of room. It's a great place to go early (especially for the HH deal) but starts getting packed as the night goes on. Brickyard is nothing fancy, and it certainly isn't trying to be. But it's a great and low key place to grab affordable beers with friends. 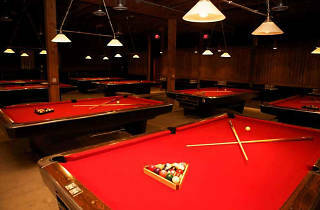 All of their brews are reasonably priced, their selection is big, and there are several pool tables, shuffleboard tables, etc to keep you entertained. The bar has plenty of space to sit & usually isn't overwhelmingly busy. I'm a bigger fan of the Brickyard in Hollywood, but the NoHo location is definitely a reliable and easy spot to grab a beer and hang out.